Russian carrier Ural Airlines in 2017 once again took the title of the country’s leader in the utilization of Airbus A320 family aircraft, the European OEM has reported. 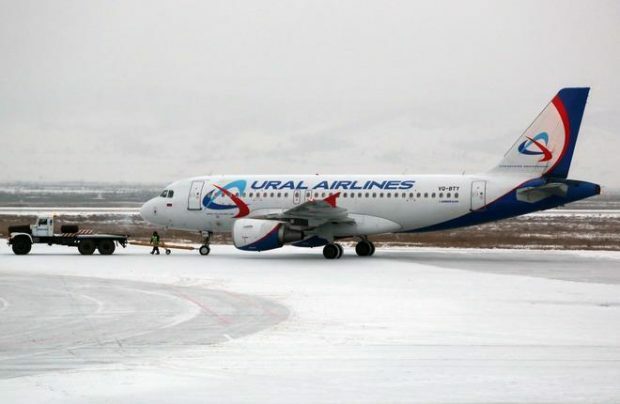 The average daily flight time across Ural Airlines’ all-A320 family fleet stood at 12.71 hours, Airbus said. The airline has retained the leading position since 2016, when it reported average utilization of 11.49 hours per aircraft per day. Commenting on the results, the operator announced its intention to bring the annual average utilization times up to 4,000 hours per airframe from the 3,800 hours in 2016. Ural Airlines operates 43 A320 family airliners: 23 A320s, 13 A321s, and seven A319s. The plan is to bring the figure up to 50 by year-end. The carrier also intends to become Russia’s early adapter of the longer-range A321neo version. The Yekaterinburg-based airline served 1.039 million passengers in the first two months of this year, up 20% year-on-year. It also launches flights from Moscow’s Sheremetyevo, from which the carrier had never operated before. In 2017 Ural Airlines carried 8 million passengers, up 24% on 2016. The double-digit growth continued into January this year, with almost 600,000 passengers served (up 19.7% year-on-year). The 2016 A320-family utilization leader on the Russian market was S7 Airlines; it replaced the 2015 prizewinner Rossiya Airlines after the latter merged with Donavia and OrenAir.